Where could i find this on Google earth? For Google Earth, you can actually just put in "Monticello Dam, CA, US" and it will take you right to it. 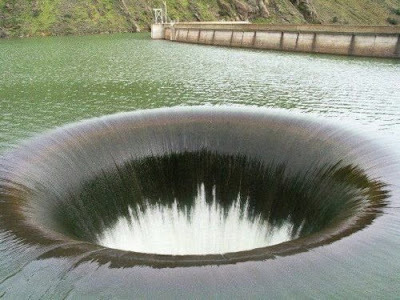 The spillway hole doesn't have much detail to it but it's there.